It should go without saying that none of us likes to scoop out our buddy’s litter tray. No matter how cute that little face is it’s still an unpleasant chore and one we’d rather do without. Thankfully there are now a number of solutions to that very problem. One of those solution is the Litter Robot III Open Air. The Litter Robot III Open Air is the latest iteration of what has proved to be an insanely popular product. Manufactured by AutoPets it raises the bar in terms of design, features and functionality. The Open Air is the 3rd generation of automatic litter box and as such you can expect that many of the flaws and problems present in other units have been ironed out here. 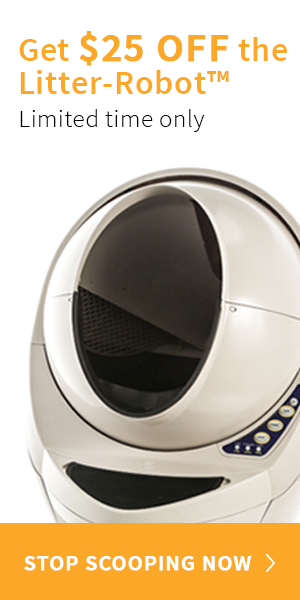 All Litter Robot automatic litter boxes work in a broadly similar way. When kitty enters the box a weight sensor is triggered which primes the unit. Once he’s finished doing what he does and steps outside, the user-configurable timer is set. There are three options here: 3 mins, 7 mins or 15 mins. After the time has elapsed the cleaning cycle begins. The entire globe rotates, allowing clean litter to filter through the grating while scooping any solid matter into the waste compartment. Once it’s complete the globe returns to its default position. The cleaning cycle only takes around 2 mins to complete. The floor of the litter chamber is a thick rubber mat which extends all the way to the front entrance of the box. One ingenious feature of the mat is that when the globe rotates it drops down under gravity, meaning any clumps which have stuck to it are released. The entry itself has been enlarged compared to previous models from the same company. 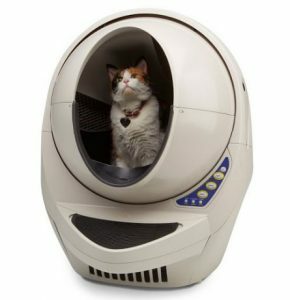 The Litter Robot III Open Air is good for cats between 5lbs and 20lbs and it is self-calibrating. 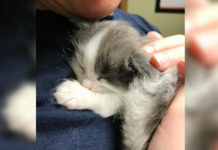 So it registers his weight the first time the little guy uses it. This is an improvement over previous models as well as other competitors in the market. Under 5lbs you’ll just have to use the manual cleaning cycle button until your cat grows into his new box. It detects when your cat has left the box and initiates a timer which counts down. This gives ample time for the waste to clump before the cleaning cycle kicks in. The unit’s special sifting system then separates the waste from the unused litter before dropping it into the storage drawer. The unit then returns to its default position with a clean and level bed of litter, ready for the next use. 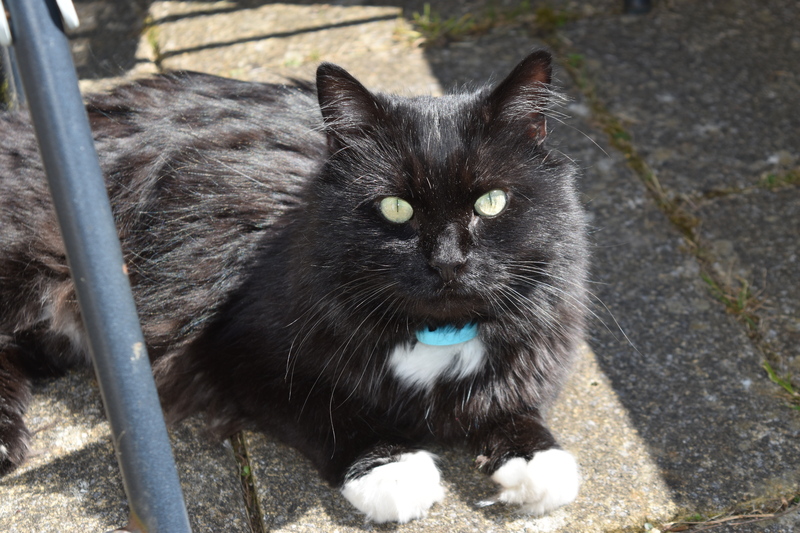 There are many helpful features such as a drawer full indicator, control panel lock out to stop paws and little fingers from changing your settings, adjustable timer, automatic night light for older cats among others. Features: What Can The Litter Robot III Open Air Do? Drawer Full Indicator: This may seem like a trivial feature but this is by far one of the best improvements over previous models. No longer will you have to open the waste drawer to check if it’s full. Instead there is a small light which blinks to tell you when you need to empty it. The unit will only operate for 3 more cleaning cycles before becoming inactive until the waste drawer is emptied. Custom Timer: Previous models had a fixed period of 7 minutes before the cleaning cycle kicked in. Now you can set it to 3 mins, 7 mins or 15 mins. Useful when trying to control odor or when you have a nervous cat that lingers around the box. Night Light: Your puss has great night-vision but for older pets this subtle LED night light will allow them to find their way in the dark. Self-calibrating Sensor: Previous models relied on your cat using the step to register its weight. Needless to say this didn’t work so well with “jumper”. Now calibration is done in the box itself, so the first time your cat hops in his weight is registered. This also works with multiple cats. Sleep Mode: If you’ve watched the video you’ll know that this unit generates a certain amount of noise. Not a lot, but in a quiet house in the middle of the night it could wake you up. So the LItter Robot III comes with a sleep mode which will deactivate the cleaning cycle for 8 hours from the time it’s activated. It will then repeat nightly. Control Lock Out: Handy to stop paws and small fingers from starting a cleaning cycle. Enlarged Entrance and Chamber: The entrance to this version is larger than previous models and the chamber itself is more spacious. This makes it ideal for larger cats that might have found the previous model too small. 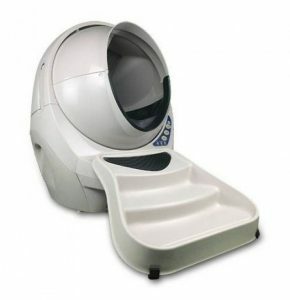 Litter Robot III Open Air Ramp: Does your cat like to leap in and out of the box? Are you tired of vacuuming litter debris caused by their aerial adventures? The ramp accessory may be for you. 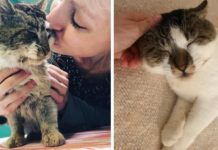 It effectively forces your cat to use the ramp to enter and exit the box, meaning that any litter trail is caught by the ramp rather than your floor. Litter Robot III Open Air Backup Battery Kit: This battery kit allows the unit to function in the event of power outages. 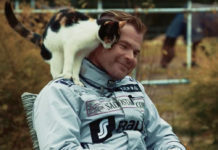 It can last between 24-48 hours depending on your cat’s usage, so it’s for emergencies only. There are many other accessories available here. Next to no set up. The unit comes fully assembled. You may want to invest in a cat litter trapper. We recommend the EZ CLean. I’d recommend the Litter Robot III. It achieves almost everything it claims to and there aren’t many products that can claim that. My cat Andrew found the size and shape a little off-putting at first but he soon got over that and started using it with no issue. He became quite fascinated with the cleaning cycle. It’s a very thoughtfully designed piece of equipment.